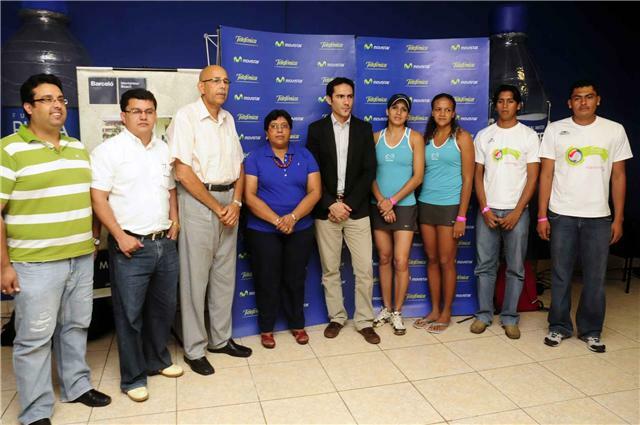 MONTELIMAR, Nicaragua, November 1, 2009 � Puerto Rico claimed its only title in the 2009 NORCECA Beach Volleyball Circuit thanks to the victory of women�s pair of Yarleen Santiago and Dariam Acevedo in the last stop of the year, the Nicaragua tournament. 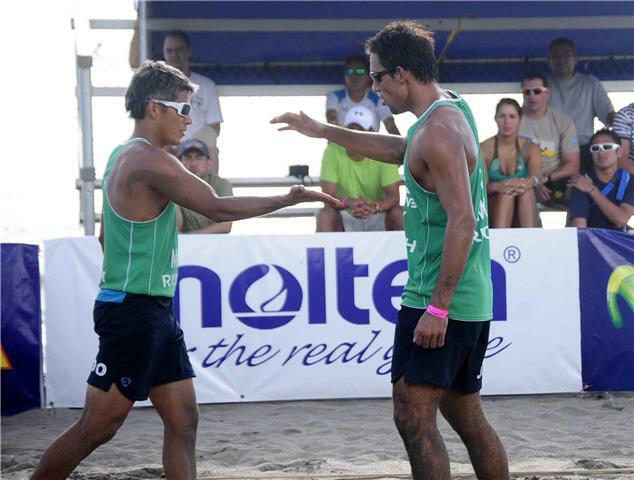 MONTELIMAR, Nicaragua, November 1, 2009 � The Mexican pair of Aldo Miramontes and Juan Virgen won their fourth men�s title of 2009 by dominating the last stop of the NORCECA Beach Volleyball Circuit. MONTELIMAR, Nicaragua, October 31, 2009 � The women�s action closed on Saturday with three dramatic matches that completed the four semi finalists of the Nicaragua Tournament, the last stop of the 2009 NORCECA Beach Volleyball Circuit. MONTELIMAR, Nicaragua, October 31, 2009 � Three teams have secured berths in the semi final stage of the Nicaragua Tournament the last stop of the 2009 NORCECA Beach Volleyball Circuit. The fourth competitor will be decided in Sunday�s morning. 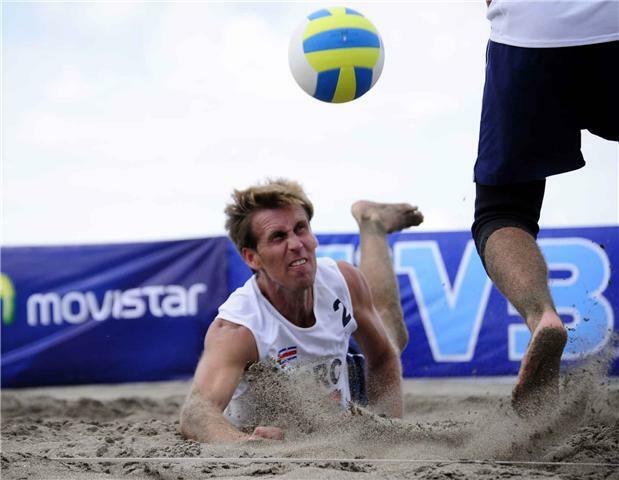 MONTELIMAR, Nicaragua, October 30, 2009 � Top-seeded Americans Vince Zanzuchi and Kevin Lynch suffered a surprising loss to Costa Ricans Marcelo Araya and Jonathan Guevara in the first day of the Nicaragua Tournament, the last leg of the 2009 NORCECA Beach Volleyball Circuit. MONTELIMAR, Nicaragua, October 30, 2009 � The teams of Puerto Rico, United States, Mexico and Canada had the best results in the first day of action at the Nicaragua Tournament, the last leg of the 2009 NORCECA Beach Volleyball Circuit. 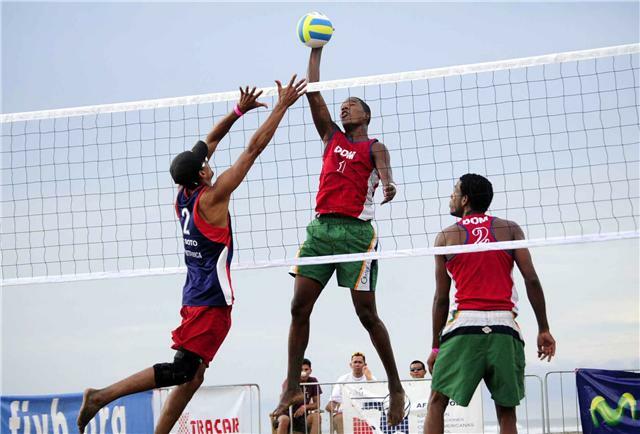 MONTELIMAR, Nicaragua, October 29, 2009 � The last stage of the NORCECA Beach Volleyball Circuit kicks off today with 16 matches being played, under a double elimination format, on the shores of the Pacific Ocean and a total purse of US$10,000. MONTELIMAR, Nicaragua, October 28, 2009 � All the details related to the last leg of the III NORCECA Beach Volleyball Circuit were announced today during a press conference chaired by Mr. Nelson Ramirez, Executive Director of the Confederation, and Mrs. Bertha Cuadra, President of the Nicaraguan Volleyball Federation.